The Israeli navy fired, on Sunday at dawn, one shell at the shore of the al-Waha area, northwest of Gaza city, while military bulldozers continued digging border areas, north of Khan Younis, in the southern part of the coastal region. 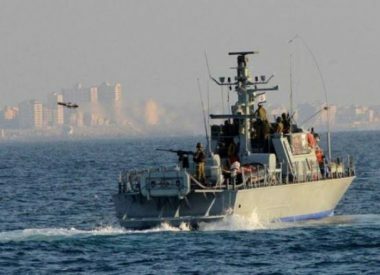 The WAFA Palestinian News Agency said the navy fired one shell into at fishing boats in the al-Waha area, forcing the fishermen away, in fear of additional Israeli escalation. The fishing boats were close to the shore, while the fishermen were preparing to sail to fish and provide for their families. In related news, large armored bulldozers and diggers, continued bulldozing of lands, near the border fence, northeast of the al-Qarara town, north of Khan Younis, while military drones flew overhead. The bulldozing was initiated several days ago, after the army bombarded a border tunnel, last Monday, leading to the death of at least twelve Palestinian fighters, while many more are believed to be dead, under the rubble, especially since Israel is refusing to allow search and rescue teams from crossing the border fence.